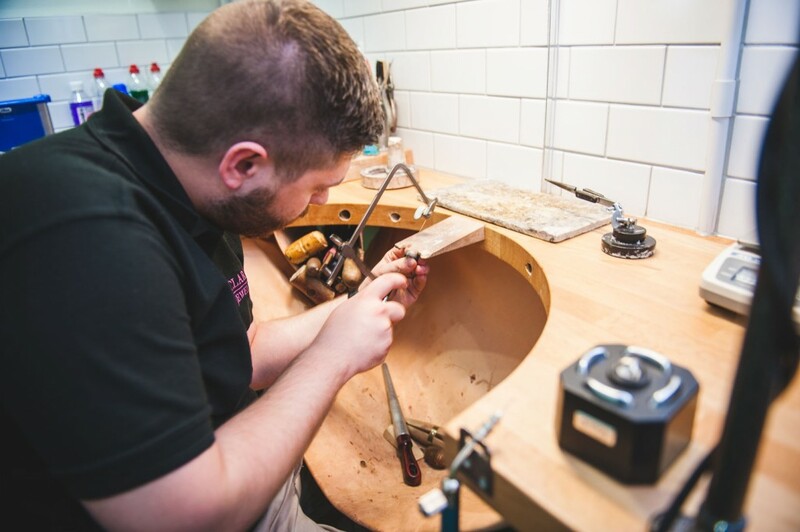 Our workshop and partners can offer a full range of services to cover almost all eventualities and mishaps that can occur to your beloved jewellery. We have repaired many a chain that had an altercation with, amongst other things (the usual suspects), the supermarket trolley, the jumper, the child’s pushchair, the wheel chair and dogs of varying size and breed! We also find that children and grandchildren are sometimes behind many a mishap occurring to a favourite piece of jewellery! In our on-site workshop we carry an extensive range of findings, from the bolt ring to the large lobster catch, swivels for Albert chains, saddles, butterflies and new fittings for earrings, safety chains amongst many others. Along with the aforementioned findings in gold and silver we also carry a good stock of standard metal findings for repairing dress pieces, but please note these cannot be soldered to your jewellery. We can also replace damaged bracelet and necklace clasps, rejoin broken chains or bracelets, rebuild or replace worn saddles. When none of the above suspects are involved, the breakage may well be put down to wear and tear. We do find that rings are the most frequent visitor with this diagnosis. Our expert workshops can source and replace missing stones, re-tip claws and repair worn settings. We can also replace worn ring shanks in their entirety or repair the existing with a new half shank to remove the thinnest part. 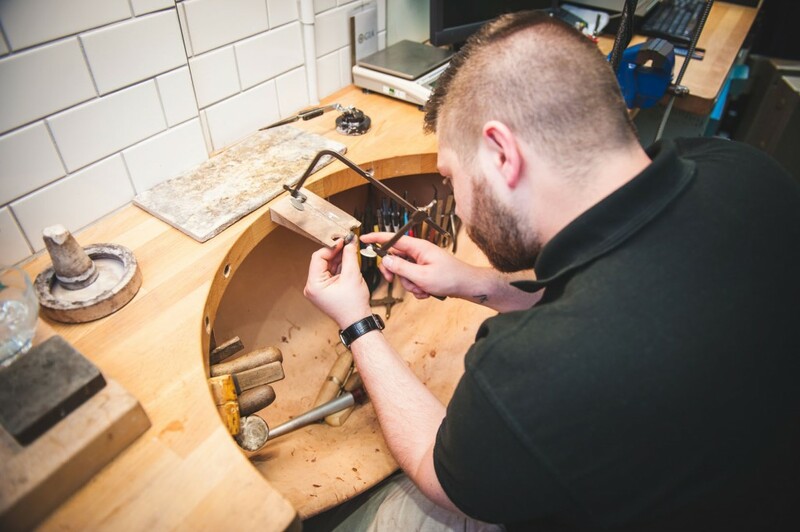 We are able to re-mount rings into brand new settings which can re-vamp an old tired piece of jewellery and turn it into a modern and exciting new addition to your collection. Quite frequently we have customers who come to us with jewellery they are unsure can even be repaired. We are always happy to give no obligation advice in this case. We also offer a restringing service for pearls and bead jewellery.